So reads The Banque de France's summary on The use of cash in France and in the euro area. Because while the nation explores new payment forms, their attachment to cash remains very dear to them. In fact, to meet the demand, the number of banknotes issued in 2017 was increased by 7.6% from 2016, ammounting to €129 billion! Overall, banknotes and coins represent over 50% of transactions in most OECD countries, albeit with significant differences across countries. According to ECB data (2011), in the euro area, banknotes and coins are used on average in about 70% of transactions at the "point of sale" and represent 90% of transactions below EUR 20. In France, banknotes and coins account for just over 50% of transactions in number terms but 15% in value terms, less than in other major countries of the euro area (over 80% in Germany, for example). 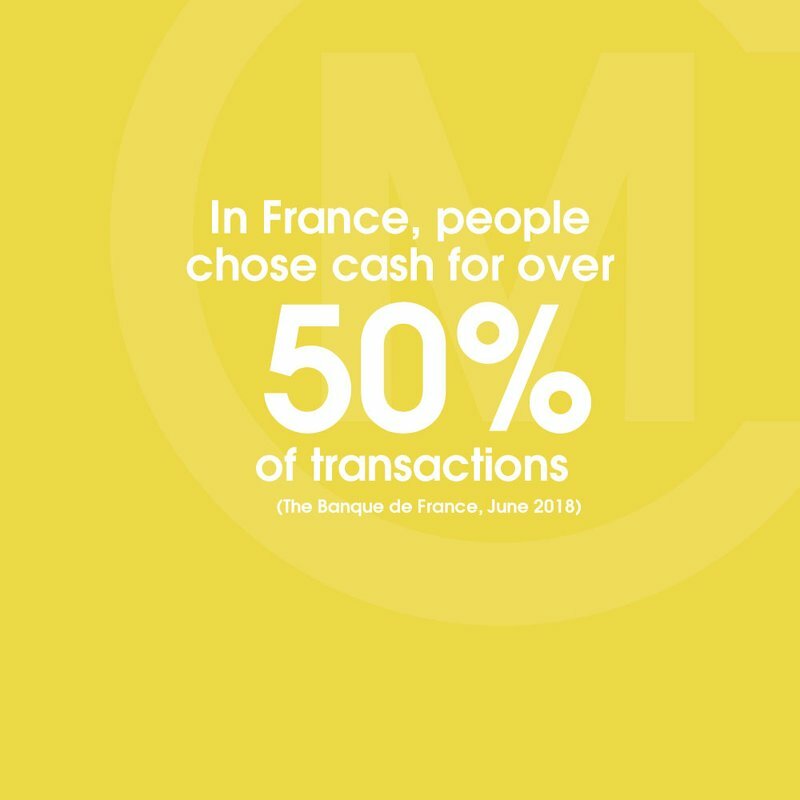 Thus, only 15% of the French use cash for transactions between EUR 30 and EUR 100, against 69% in Germany and 72% in Italy. The market share of banknotes and coins in transactions is on the decline. France stands out in particular by a strong use of cashless payment instruments. Thus, the average number of cashless transactions per capita per year in 2014 was 287, against 202 on average in euro area countries and in the European Union. The payment card represents almost 50% of cashless payments in France, and its share is growing faster than other means of payment (cash, cheques, credit transfers or direct debits).